Hey there! Thought I would share what I always bring if I ever need to touch up my makeup after prayer when I'm out or at work. I usually will not redo a full face makeup because ain't nobody got time for that, so the products that I'll bring are only the essentials for that natural no makeup makeup look. Girls, please please please take off all of your makeup before you take your wudhu. I don't think I should explain why. Looove this one by Biore so much. It literally takes off everything, even the most stubborn waterproof mascara! 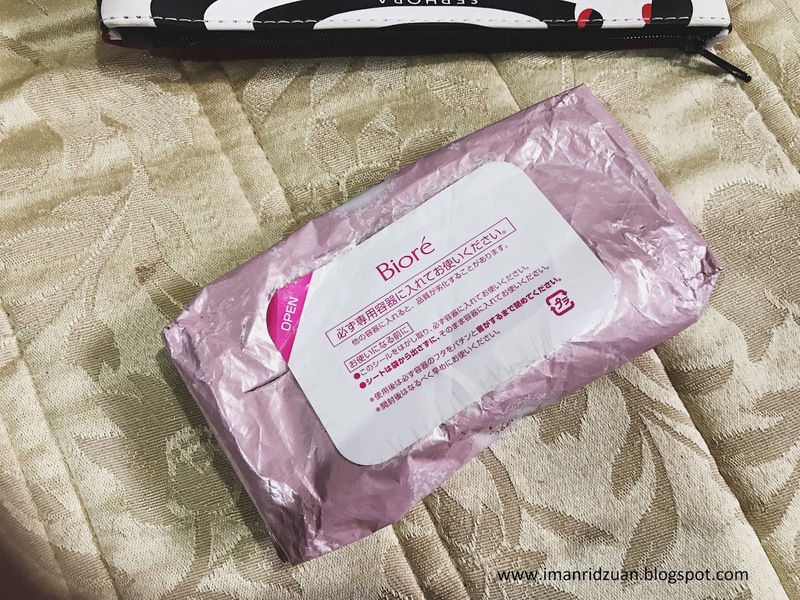 The cloths are so smooth and very saturated with makeup remover. I take less time to remove everything when I use this compared to any other makeup wipes. I don't even know how many packets of this I've been through lol. Typically I won't bother about foundations and just go straight to blush for my face when doing reapplication, but when I do want a little bit of something, a little bit of evening of the skin tone, I always opt for this Pixy powder foundation as they are easier and faster to use. Plus, it already comes with a mirror so I don't have to carry a separate pocket mirror. 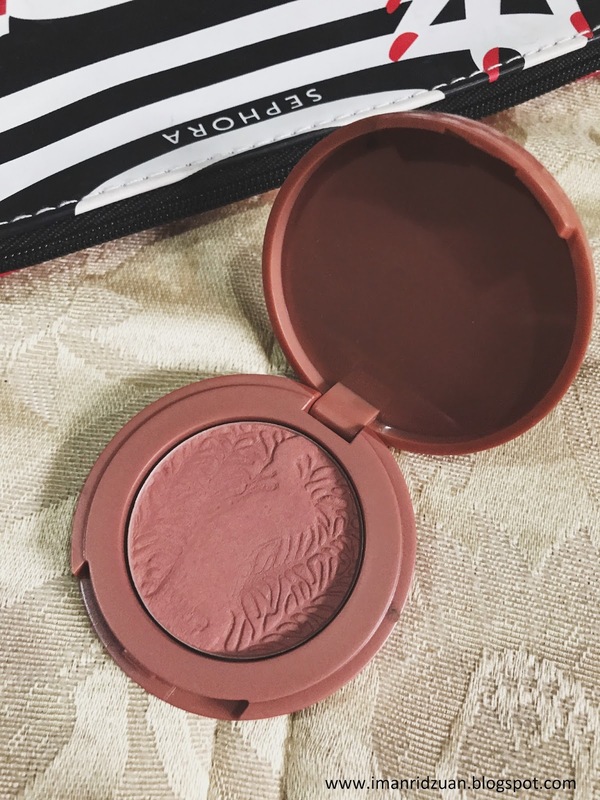 Mini blushes like this one from tarte their trial kit is very convenient to travel with. They're so tiny but a little bit goes a long way I have no idea when will I be able to hit pan because I literally have been using it every single day, and obviously you can still see the craving on the surface of the blush. Amazing. 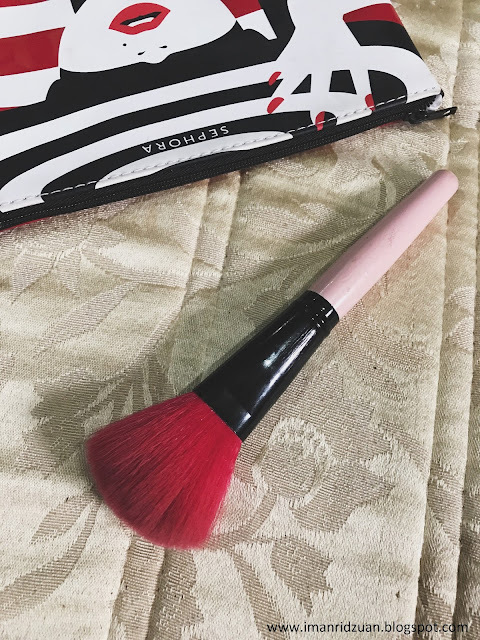 And to apply that I bring along my usual powder brush as a blush brush haha. Highlighters usually comes in a huge pan, so this one by Colorpop is so good to carry around because they're stored in a small twist up container. 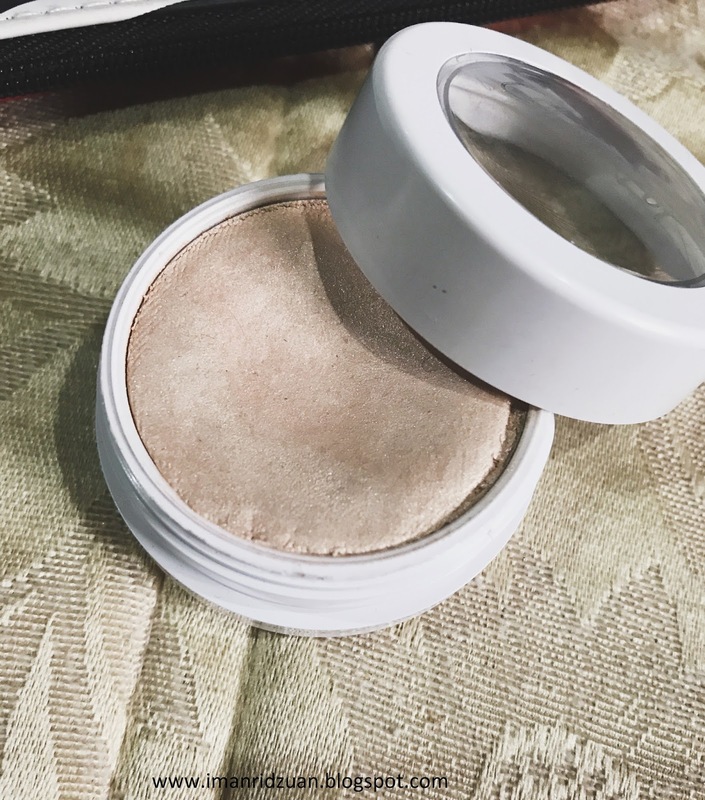 Another reason why I love carrying this for touch ups is because the texture is like a cream to powder highlighter so I can just use my finger to apply and not worrying about carrying a highlight brush. Having your eyebrows done can make a huge difference when you're not wearing a lot of makeup. I love to use this one by silkygirl because they're super easy to use, and it even comes with a spoolie! Everything you need in a stick. 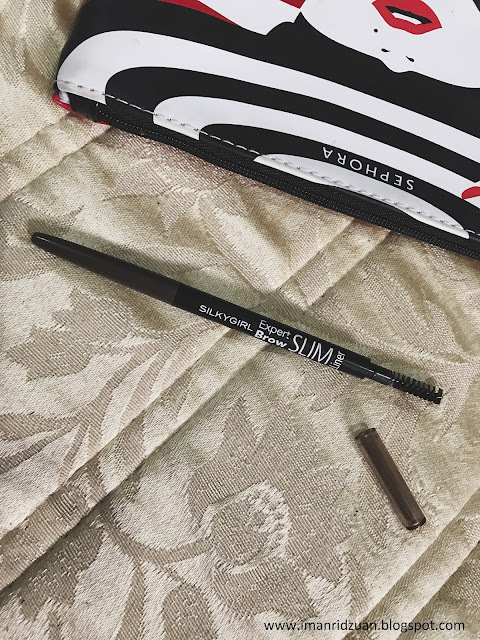 The pencil is pigmented and super blendable, basically the best eyebrow pencil from the drugstore. I usually bring along my Tarte mini mascara, but lately I've been loving Silkygirl's Lash Prism mascara so much. It is the only mascara in my collection that won't smudge or budge even when I cry or sweat. 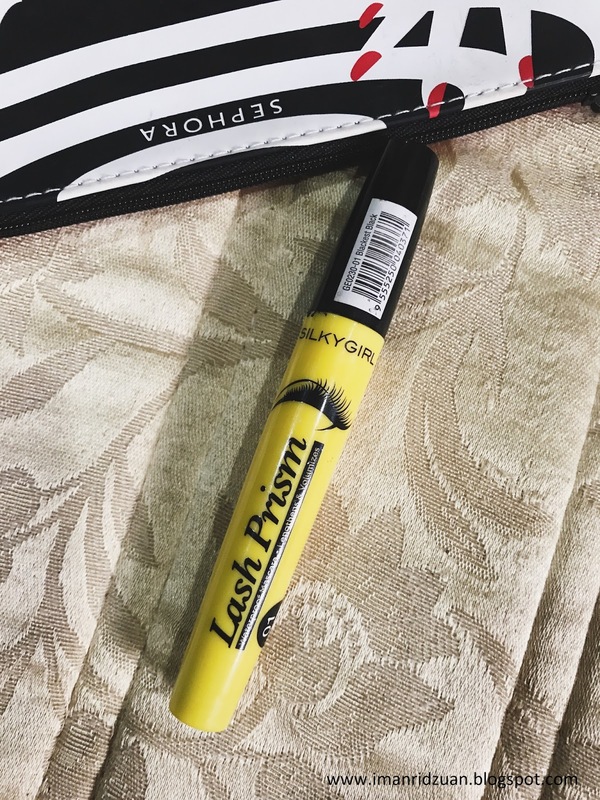 I wore this for a night marathon and oh my god, it my lashes stay on fleek at the end of the night with no clumps of mascara fallout at all! When you're not wearing a full face makeup, you want to draw people's attention to your eyes instead of all those pigmentations or acne on your face. So mascara is important! Unless if you're already blessed with thick and long lashes, you do you. These duos. I won't ever put a lipstick on a dry lips so it's important for me to carry around a lip balm because I naturally have very dry lips. 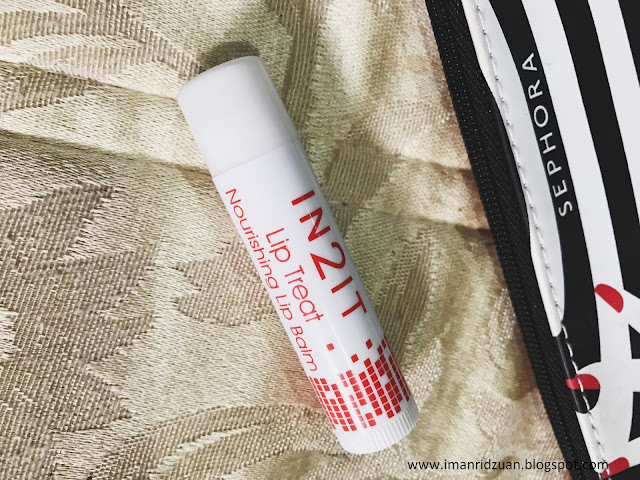 Favourite lip balm would be this one by in2it. 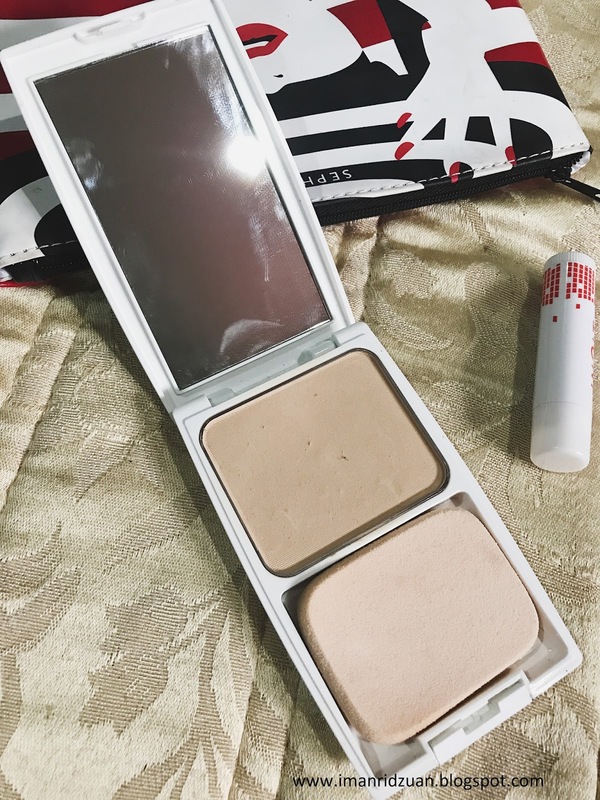 Very moisturizing and it even has SPF20! For the lipstick, I just bring whatever lipstick I'm wearing on that day. 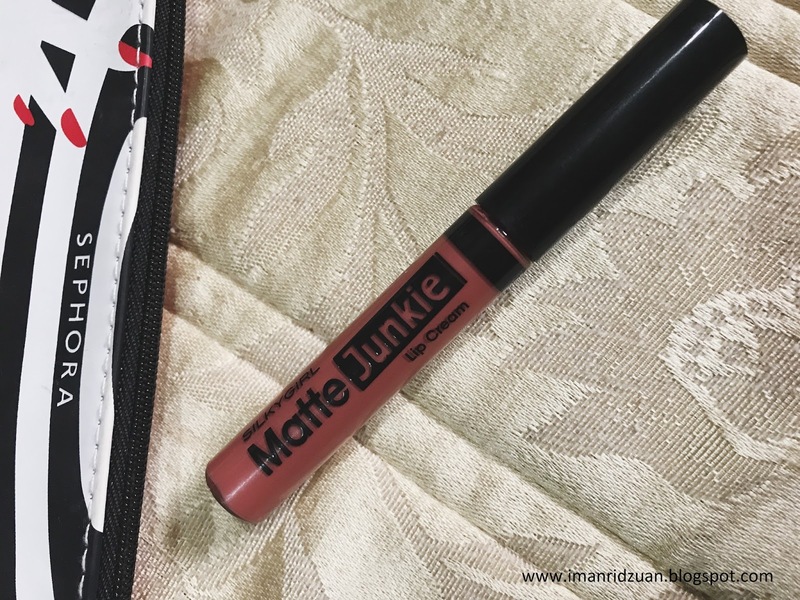 But the one that has been my go to everyday lip color is Silkygirl's matte junkie in the color 01 Retro. Another Silkygirl yea, I just love Silkygirl. And that completes it. Don't underestimate my small Sephora makeup pouch, it really can carry a ton! 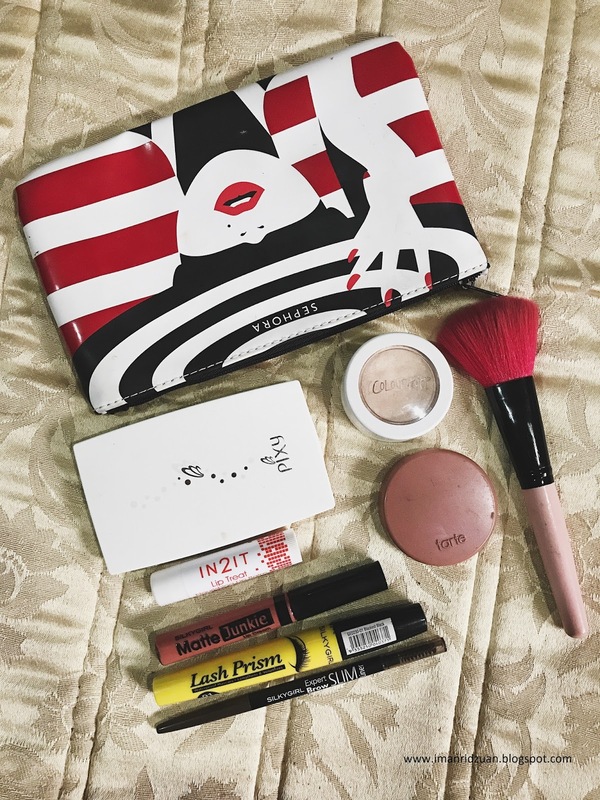 What is your essentials for touch up? Leave a comment down below!